Philadelphia Eagles head coach Doug Pederson received an extension Sunday that will keep him with the team through the 2022 season. The team also rewarded executive vice president of football operations Howie Roseman with a contract extension through the 2022 season. 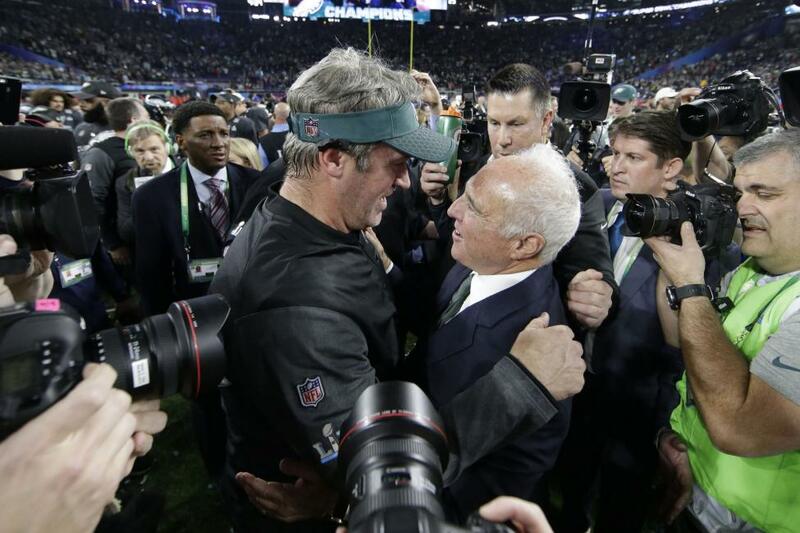 "We are thrilled to solidify continuity in our organization's leadership with the extensions of Doug Pederson and Howie Roseman, whose collaborative partnership helped deliver our city its first Super Bowl Championship," Chairman and CEO Jeffrey Lurie said in a statement. "Doug and Howie are committed to the success of our franchise by ensuring that we remain competitive, both in the short and long term. That unified vision for the future of our team is what gives us the best chance to win moving forward." [post_ads]Pederson guided a team beset by numerous injuries, including a season-ending knee injury to rookie quarterback Carson Wentz, to a 41-33 Super Bowl win over the New England Patriots. Roseman enjoyed a stellar season and reaped the rewards for putting together a Super Bowl-winning team. He was named 2017 Executive of the Year by the Pro Football Writers of America as well as 2017 Sporting News NFL Executive of the Year by league executives. The Eagles' offense, after ranking among the top five in the most important categories in the regular season, didn't miss a beat with Foles under center. Under Pederson's tutelage, Foles, who became the starter in Week 15 after Wentz went down with a knee injury, recorded 100-plus passer ratings in all three of Philadelphia's playoff games.